Dr. Xuming He is H. C. Carver Professor of Statistics, Department of Statistics, University of Michigan. He received his BS in Mathematics from Fudan University from Shanghai in 1984, and Ph.D. in Statistics from the University of Illinois at Urbana-Champaign in 1989. He was senior fellow (1997-1998) and lecturer (1989-1993) in Mathematics Department of National University of Singapore, and Assistant Professor, Associate Professor and Professor in 1993-2011 at the University of Illinois at Urbana-Champaign. He serves as the program director of statistics at National Science Foundation in 2003-2005. Dr. He has published over 130 scientific papers which cover a wide range of research areas including robust statistics, quantile regression, nonparametric statistics, model selection, low rank approximation for genetic applications, and computational methods. Many of Dr. He's works are fundamental and influential, and are published in leading statistics journals. In particular, Dr. He's works on robust statistics and quantile regression are very profound. For example, the breakdown function (1990 and 1991) proposed by Dr. He and his co-authors is now a widely adopted robust statistics measure, and the conditional growth charts paper based on quantile regression (2006) is selected as a discussion paper for Annals of Statistics. Dr. He is Co-Editor of Jourral of the American Statistical Association, Theory & Methods in 2011-2014, Editor of the IMS Bulletin (2007-2010), Associate Editor of Journal of the American Statistical Association (2004-2010), Journal of the Royal Statistical Society: Series B (2010-present), Statistica Sinica (1996-2002, 2005-2011), Annals of Statistics (2004-2011) and other statistical journals. He is an Elected Fellow of the American Association for the Advancement of Science (AAAS), American Statistical Association (ASA), Institute of Mathematical Statistics (IMS) and International Statistical Institute (ISI). He is also an IMS Medallion Lecturer of Joint Statistical Meetings (2007). Dr. He is a well-recognized leader in statistical community. Among many prominent leadership appointments, he served as a President of the International Chinese Statistical Association (ICSA) (2010), board member of ICSA (2003-2004) and the Chair of the ICSA Nomination Committee (2005, 2006). In addition to his outstanding service to the ICSA, he is the Chair of the ASA Committee on Meetings (2012-2016), was IMS council member (2004-2007), Editor of IMS Bulletin (2007-2010), Chair of the IMS Nomination Committee (2005-2006), ASA Committee on Noether Awards (2005-2011), and Search Committee for the ASA Executive Director (2007). Dr. He was also the Program Chair for 2010 Joint Statistical Meetings in Vancouver. The ICSA is honored to present the Distinguished Achievement Award to Dr. Xuming He, for his leadership and scholarship in statistical and international statistics communities including ICSA, ASA, and IMS; for his outstanding advocacy of statistics to the society in the importance of statistics and his significant contributions in robust statistics, quantile regression and statistics applications. 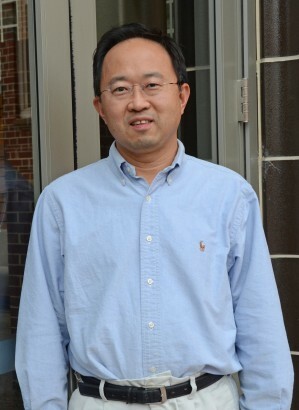 Dr. Danyu Lin is Dennis Gillings Distinguished Professor, Department of Biostatistics, University of North Carolina, Chapel Hill. He received his BS from East China Normal University from Shanghai in 1983, MS and Ph.D. in Biostatistics from the University of Michigan, Ann Arbor, in 1986 and 1989, respectively. He received his post-doctoral training in the Department of Biostatistics, Harvard University between 1989-1900. Since 1980, he was assistant, associate, and full professor, in the Department of Biostatistics, University of Washington until 2000 when he moved to UNC for the current position. Professor Lin has published over 188 scientific papers and 2 books which cover a wide range of research areas including statistical genetics, genetic epidemiology, bioinformatics, survival analysis, longitudinal data analysis, designs and analysis of medical studies, and health economics. Most of his works are fundamental and influential, and are published in leading statistics and biomedical sciences journals. His contributions to statistical sciences are very profound and won him many distinguished honors, including Mortimer Spiegelman Award by the American Public Health Association in 1999, Myrto Lefkopoulou Distinguished Lecturer by Harvard University in 2002, Odoroff Memorial Lecturer by the University of Rochester, 2003, NIH MERIT Award, 2005-2015, Keynote Speaker of the ICSA 2011 Applied Statistical Symposium, Fellow of IMS (1999), ASA (2000), JASA-Theory and Methods Discussion papers in 2000 and 2006, and JRSS(B) discussion paper in 2007. Professor Lin was the highly cited researcher in mathematics by Thomson ISI, 2003. 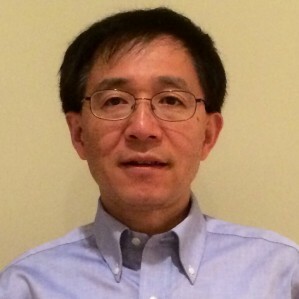 Professor Lin is an Associate Editor of JASA Applications and Case Studies since 2012, Associate Editor of Biometrika since 1999. He served as an Associate Editor for Statistica Sinica from 1999-2009, Scandinavian Journal of Statistics, 2006-2009, Biometrics, 1997-2000, and Probability and Statistics Letters, 1998-2001. Professor Lin is a well-recognized leader in statistical community and has served the community in many other capacities including being a member of multiple NIH Study Sections, organizer and chair invited sessions for ICSA, ASA, IMS, and IBC, etc., a member of Program Committees for the ICSA Statistical Conferences, IMS, ENAR, and advisory panels for FDA, Fred Hutchinson Cancer Research Center, etc. He chaired the Program Committee and co-chaired the Organizing Committee for the ICSA 16th Applied Statistics Symposium in 2006-2007. Professor Lin is an outstanding teacher and has advised or been advising a total of 18 Ph.D. students, most of whom have secured academic jobs. Professor Lin gave 25 seminars in top universities and many invited talks in major conferences. He has also offered popular short courses on survival analysis around US, which were well received and influenced statistical practice in the fields. The ICSA is honored to present the Distinguished Achievement Award to Professor Danyu Lin, for his outstanding scholarship and leadership in statistical and international statistics communities including the ICSA, and other societies; for his scientific contributions in survival analysis, longitudinal data analysis, and statistical genetics, which have profound impact in biomedical sciences, and excellent teaching and mentoring young statisticians.